The Xiaomi Mi Mix 3 is a slider phone which launched in China late last year. Since then, we’ve heard rumblings of a European launch without any confirmation. Later, TechRadar confirmed that the device would launch in the UK in Q1 of 2019, though they couldn’t confirm a release date. Xiaomi Spain and Xiaomi Italy have now announced the Xiaomi Mi Mix 3 is on its way to both countries, marking its first launch outside of Asia and opening the door to launch in even more regions in 2019. The Xiaomi Mi Mix 3 will launch in Spain on January 8th and Italy on January 9th, available from AliExpress, Xiaomi’s own website and, of course, Mi Stores for €549. It’s unlikely that this is the 5G model, as we’d likely see a greater marketing push if that were the case. It’s interesting to note, however, that the company has announced that the Xiaomi Mi Mix 3 will launch in Europe with 5G support in Q1 of 2019 as well. That means if you can hold onto your smartphone, for now, then in probably only a few months time, you’ll be able to get a Qualcomm Snapdragon 855 Xiaomi Mi Mix 3 instead. 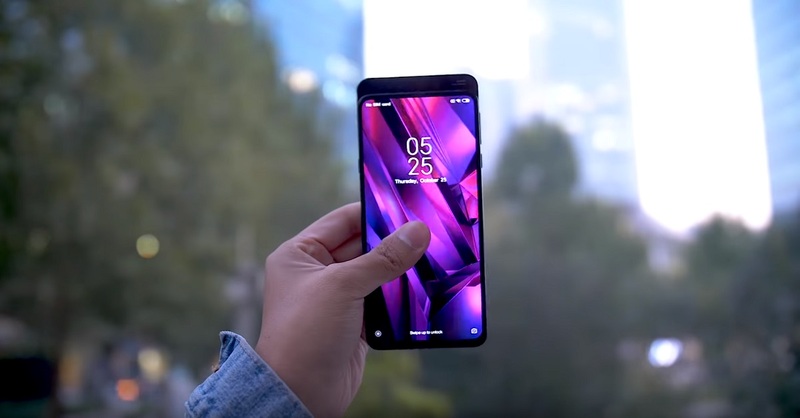 The Qualcomm Snapdragon 855 is more than just a means of connecting to a 5G network via the Snapdragon X50 modem, boasting a 45% performance improvement over the Qualcomm Snapdragon 845. If you’re on the fence, you can check out our hands-on and unboxing of the device. This is one of the first sliding camera phones to launch officially in Europe and will be the easiest to import out of all of them for European users. At the time of writing, the other most known slider phones are the OPPO Find X and Honor Magic 2. The OPPO Find X is available for purchase in some European countries, but it costs around €1000, nearly twice the price of the Xiaomi Mi Mix 3. We expect to see the Xiaomi Mi Mix 3 make its way to other European countries soon, and hopefully, Spain and Italy are just the start. You can check out the specs of the Xiaomi Mi Mix 3 below.